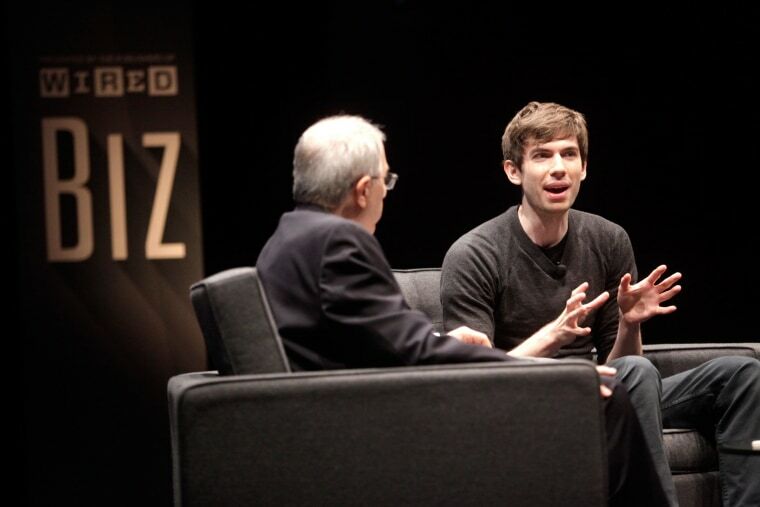 Tumblr founder David Karp isn't impressed with how his Silicon Valley counterparts -- namely Apple and Facebook -- push an "engineer's mentality" on users that he says restricts creativity. "We're coming out of a world, a digital world ... of HTML that could be anything," Karp said at the Wired Business Conference in New York City on Tuesday. "It's being squeezed into white Facebook pages and square photos." Karp went after Facebook and other tech giants after the panel's moderator, Wired's Steven Levy, asked him about blogging service Tumblr's mission. Bigger tech companies have lost that spirit, he said. "Even Apple today isn't obsessed with the creative community," Karp said. But his sharpest words went to Facebook, after Levy asked Karp if he thinks "Facebook's spirit constrains" users. He lamented Facebook's stark white update pages and Facebook-owned Instagram's square photo setup, as well as Vine's six-second videos. Those constraints are part of an "engineer's mentality" in Silicon Valley that makes lovely clean websites, but restricts users' ability to create, he said. Karp discussed the fall of MySpace, which offered an overwhelming number of customization options for its users' pages. "A lot of the industry went the other way .. they said, 'let's abolish everything, let's give everyone the same beige page,'" Karp said. Karp reserved kinder words for his new overlord: Yahoo, which acquired Tumblr last year for $1.1 billion. Karp stressed that Tumblr's operations remain independent from Yahoo -- "we have our own team and our own office" -- and that Yahoo hasn't censored what his team is able to do. After all, he said, Yahoo CEO Marissa Mayer and the other company honchos have a lot to do at Yahoo itself. "Tumblr is a small, small part of what the leadership team at Yahoo is focusing on today," he said.